It’s Friday! I went on a whirlwind trip to Dallas and ate chicken fried steak twice, rode in some Cadillacs and had a giant steak! I had a ton of fun but I’m kind of exhausted too. I’m going to do a post on Dallas soon, but in the meantime, this is what I’ve been looking at online. 1. I thought this was HILARIOUS. 2. Man vs hamster! Totally the cutest video I’ve seen in a while. 3. I read this article about Nicki Minaj and then fell down a Nicki Minaj shaped google hole. 4. Do you have sober friends? 5. I don’t think I’d use this, but I applaud the thought that went into it. 6. This is my dream house. 1. Mini pistachio Boston cream pies! They look intensely good. 2. Gorgeous birthday cakes here and here. 3. I think I could eat this raspberry balsamic caramel sauce by the spoonful. 4. Molly made the raspberry pistachio pavlovas from Easy Gourmet and they are so, so dreamy. 5. Michelle added some orange zest on top of the London fog tea cake from Easy Gourmet and it looks like absolute perfection. 6. Must be something in the air because Lyndsay made the coffee cake with sweetened condensed milk frosting from my book and it is just gorgeous! Hope y’all have a lovely weekend! 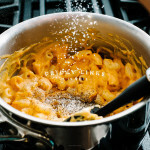 PS – The main image is of my pumpkin mac and cheese recipe. I’m totally getting into pumpkin mood now that we’re halfway through September! I just DIED laughing at that hamster video….bahahaha you totally made my morning. Also, loving your book! Oh my, I can see this is a post that is going to have me lost for a long time…in a good way. I have fallen down Nicki Minaj google holes way more than I’d like to admit, haha! Thanks so much for the link to the “dream house”…major house crush for sure. xo!! that dream house is lovely!!!!!!!!! 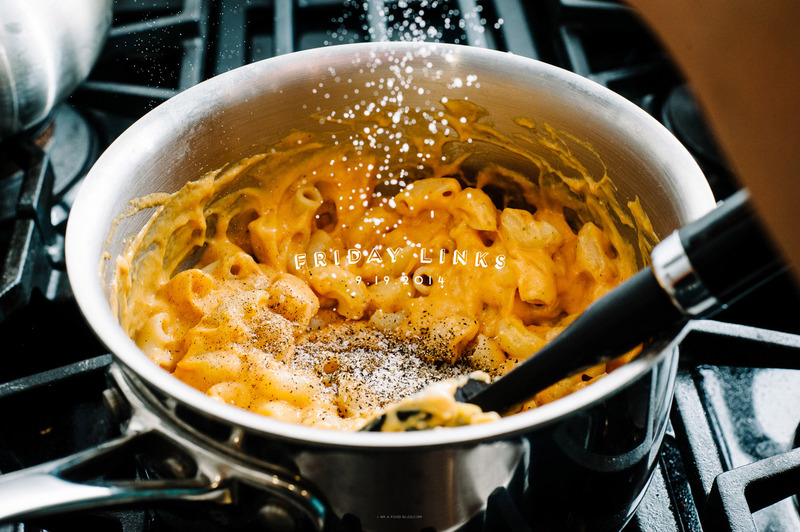 and that mac and cheese photo, oh yes. i had the biggest craving for mac and cheese last night but i was too darn sleepy to make it! have a wonderful weekend, steph!!! Oh my gosh! I fell into a Nicki Minaj hole myself! Did you see this one with sir mix a lot? Thanks for the cake love, lady! And I’m in 100% agreement—Lindsey’s cake is a total beaut! I can’t stop starring at it. I’m headed to Dallas this next weekend and would LOVE some recommendations. Can’t wait for that post! I love the Mac & cheese! that looks great! I made your pumpkin mac and cheese..It was amazing.. I saw your recipe on Sunday Spent Cooking blog.. taking it to work to share.. IF there is anything left by tomorrow morning !! !